We are pleased to announce that there will be yet again a Jamboree On The Air station at Crosland Hill. As usual, the Denby Dale amateur Radio Club will provide the equipment and expertise. The event will be held on Saturday 21st and Sunday22nd October. Not only will there be Beavers, Cubs, Scouts, and Explorers from Crosland Hill taking part but also Scouts from all over Huddersfield. 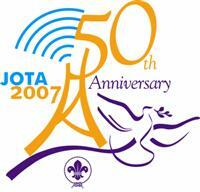 Additional information is available on the JOTA organizer's web pages. What is Jamboree-on-the-Air (JOTA) ???? Since 1958 when the first jamboree-on-the-Air was held, thousands of Scouts and Guides have "met" each other through this event. Not only is it fun to talk to Scouts from other parts of the world but it provides also a chance to find out about other countries and about Scouting elsewhere. Many contacts made during the JOTA have resulted in penpals and links between scout troops that have lasted for many years. 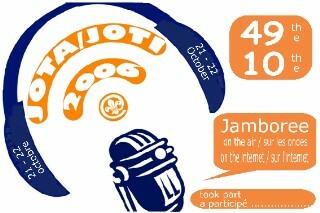 The world--wide Jamboree-On-The-Air is organized to coincide with the third full weekend of October each year. The event starts at 00.00 hours local time on the Saturday and concludes 48 hours later at 24.00 hours local time on the Sunday. Each station can choose its own operating hours within this period. Check out the JOTA factsheet.